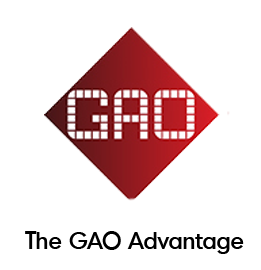 Specialty Services Industry | RFID Solutions - GAO RFID Inc. The Specialty Services industry encompasses a wide range of sectors including car wash operations, funeral homes, dry cleaning & laundry services, pet care, automotive repair, museums, and fitness centers. To continuously excel at providing service to its customers, this industry shares common challenges: how to manage inventory better, increase security, and enhance the customer experience. GAO RFID’s solutions offers innovative ways to achieve these goals. For every sector within the Special Services Industry, maintaining a good brand reputation is vital to business success. To achieve this, optimizing inventory and providing convenient access to customers have become major challenges to the operation. The slightest error or inconsistency can lead to devastating business outcomes. Keeping inventory optimized, knowing where inventory is located, and deterring theft are all concerns that need to be addressed. Whether it is leased items that need to be tracked, tracking pets checked into the pet care facility, or managing important file and documents, having an instant picture of inventory makes operations clear and efficient. RFID technology lets tag every inventory item, allowing you to locate and identify any item in real-time–providing a clear view of what’s in your inventory. Automating access is especially important to service sectors such as parking garages, car wash facilities and fitness centers. Controlling access to zones and services helps to provide an efficient and secure experience to customers. Using RFID keyfobs or badges means you no longer need to use traditional keys and worry about unauthorized duplication. RFID technology lets you to automatically control access to your facility, with the added capability of tracking customer activity to gain insight of preferences and behaviour, while ensuring safety and security. Knowing when employees enter and exit the facility and automating time and attendance greatly increases security and minimizes administration expenses. In larger facilities, the ability to track personnel activity as they move from zone to zone can give greater insight to current operational deficiencies. Assigning RFID badges to every personnel allows you to track and locate your employees to keep your facility safe and efficient. Easily integratable with existing payroll systems, your HR processes will be streamlined, resulting in reduced administration costs and an accurate payroll. Equipment throughout the facility need to be monitored for vandalism and theft; in most cases, this equipment also needs to be regularly maintained to ensure optimum performance. Simple security surveillance and traditional pen and paper or manual spreadsheet recording can often lack detail and be inaccurate. RFID technology gives you the power to monitor your valuable equipment and record maintenance activity to ensure they are always available and ready to use. Contact us for more information on RFID Solutions that have been designed for your sector.